Using Google Maps in Android Application includes several steps. 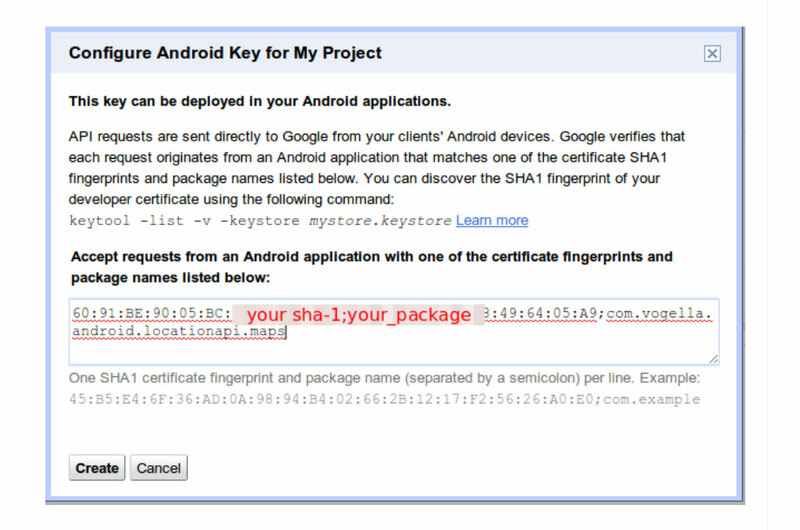 As a prerequisite, you need to install the Android SDK. See Get the Android SDK. 2. Download and configure the Google Play services SDK, which includes the Google Maps Android API. If you use theGoogle Maps Mobile SDK for Business you must download and configure the Google Maps Mobile SDK for Business static library. 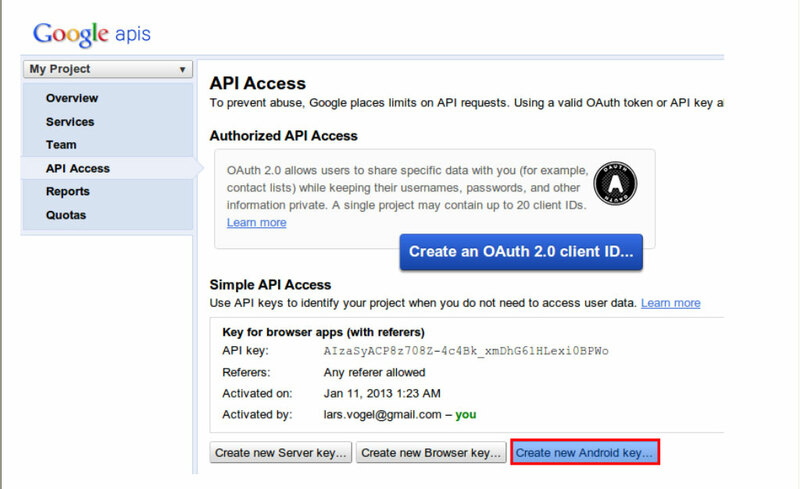 The Google Maps Android API v2 is distributed as part of the Google Play services SDK. 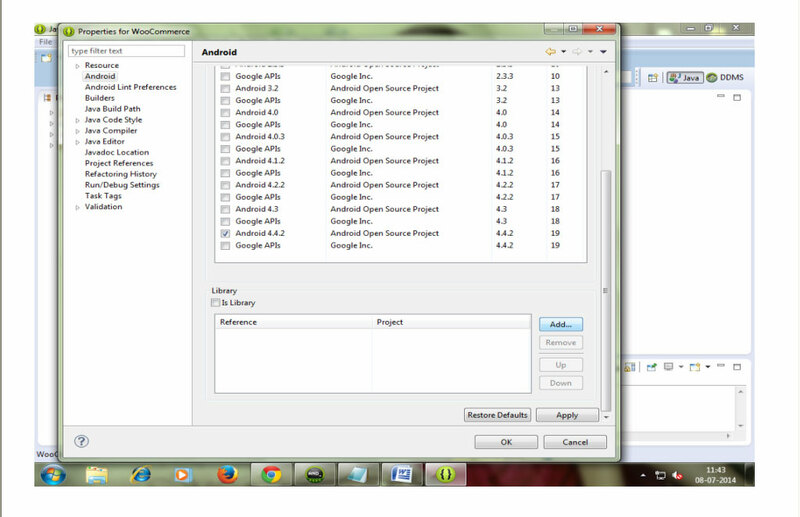 You can download the Google Play services SDK via the Android SDK Manager. A compatible Android device that runs Android 2.3 or higher and includes Google Play Store. 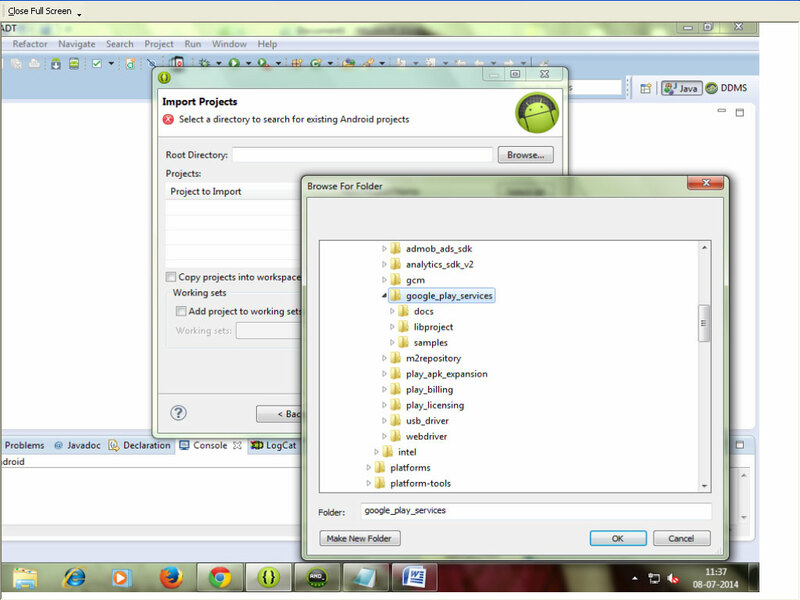 The Android emulator with an AVD that runs the Google APIs platform based on Android 4.2.2 or higher. 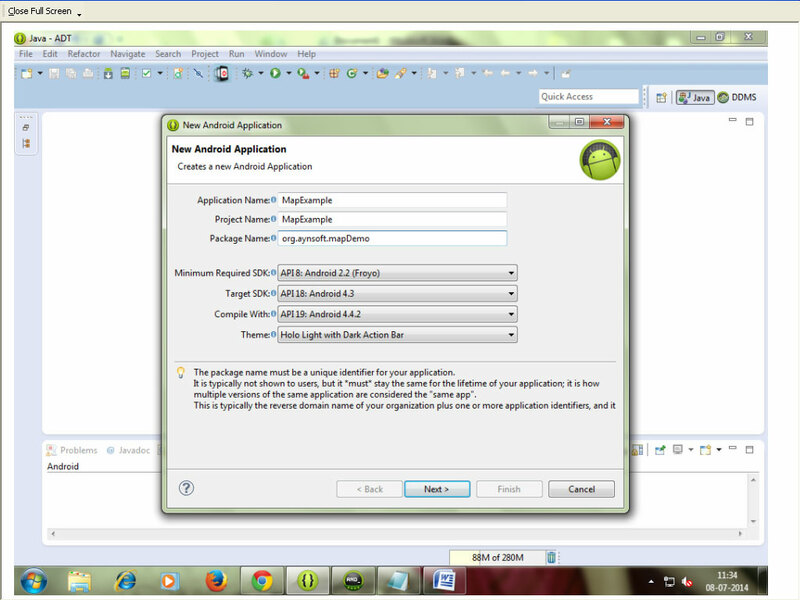 Create a Android Application Project. Import the Google Play Services into your workspace. To import the Google Play Services into your workspace , first create a android project from existing resource.Then goto path ..sdk/extra/google/googleplayservice. Then copy the project in to the workspace..
Make this project as the library project of your project. Right Click on the project, then go to properties and the Android Section. Add google play service as library project. Maps API keys are linked to specific certificate/package pairs, rather than to users or applications. You only need one key for each certificate, no matter how many users you have for an application. Applications that use the same certificate can use the same API key. However, the recommended practice is to sign each of your applications with a different certificate and get a different key for each one. Obtaining a key for your application requires several steps. Enter your SHA-1 fingerprint and the package of your application separated by a semicolon. For example you can use the org.aynsoft.mapDummy package. Follow the steps below to include the API key in your application’s manifest, contained in the file AndroidManifest.xml. From there, the Maps API reads the key value and passes it to the Google Maps server, which then confirms that you have access to Google Maps data. Substitute your API key for API_KEY in the value attribute. This element sets the keycom.google.android.maps.v2.API_KEY to the value of your API key, and makes the API key visible to anyMapFragment in your application. android.permission.ACCESS_NETWORK_STATE Allows the API to check the connection status in order to determine whether data can be downloaded. android.permission.WRITE_EXTERNAL_STORAGE Allows the API to cache map tile data in the device’s external storage area. 1. Add the following fragment in the app’s layout XML file. If you created a ‘hello world’ app using the Android Developer Tools (ADT) package in Eclipse, the file is at res/layout/activity-main.xml. Replace the entire contents of that file with the following code. 1. Add the following code in MainActivity.java. Build and run your application. You should see a map. If you don’t see a map, confirm that you’ve completed all the steps described on this page.